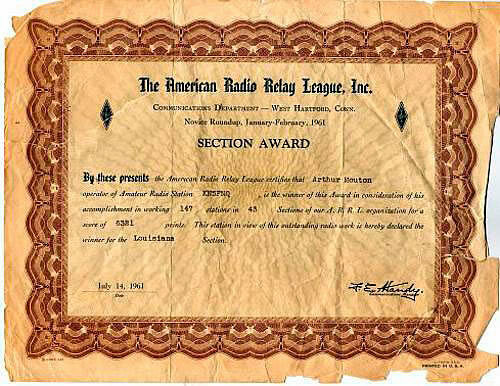 (Editor's Note - The Novice Roundup was a yearly contest for Novices sponsored by the American Radio Relay League (ARRL). This was a highly coveted award. Art won Lousiana Section by working 147 stations in 43 sections. Congratulations Art! ].